The highly respected School of Social Work at Adelphi has a long history of producing leaders in social work and helping to shape social policies. Since 1951, we have continually been accredited by the Council on Social Work Education, and Adelphi’s Social Work graduate program is now ranked in the top 5% of the country, according to US News & World Report. Additionally, our faculty are expert practitioners and researchers, having published across the full range of topics within the field—including disparities in healthcare, child advocacy, the role of social workers in shaping policies and more. Our Online Master of Social Work program brings the combined decades of expertise and legacy of Adelphi’s leading social work school to a flexible curriculum designed for working professionals. While the program is primarily delivered online, we include two annual on-campus experiences due to the importance of building relationships in the social work field. Many students tell us that the on-campus training is a highlight of their education. We are incredibly proud of our ability to deliver the personalized attention of an in-person education to the online classroom. Our graduates complete the program prepared to become Licensed Master Social Workers and begin rewarding careers. According to the American Diabetes Association, an estimated 30.3 million people in the U.S.—over 9 percent of the total population—live with diabetes. Keeping their conditions under control requires careful monitoring, regularly taking any prescribed medication and making informed diet, fitness and other lifestyle choices. A diabetes educator plays a vital part in supporting diabetics by offering guidance and encouragement. They help patients take charge of their lives and follow through with the necessary changes for managing the disease successfully. Doctors and nurses prescribe medications and give their diabetes patients directions for their care. However, managing a chronic disease and all the complications that go along with it requires a strong support system and input from many different perspectives. 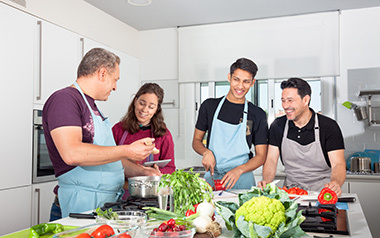 For example, where a doctor may provide general guidelines and dietary restrictions, diabetes educators can translate this advice into actual lifestyle changes. As a diabetes educator, you could expand on the advice that patients and their caregivers hear from other medical professionals, sharing a real-world perspective on how to follow through with large shifts in their daily routines. Diabetes educators may teach groups of patients and caregivers in classes or meet with them one-on-one. If you pursue this career, you might be employed in variety of settings, including hospitals, public health departments, nonprofit organizations and colleges or universities. Specialized education can build your skills in assisting people with diabetes and help you to qualify for certain jobs. Professionals with a master’s degree in social work may be prepared to counsel patients and their families so they can adapt to the changes in their lives. Healthcare social workers have the knowledge and experience to help people plan for the long term as they navigate their treatment. By becoming a diabetes educator, you’ll be able to advise patients on how to make changes in their own lives. Staying up-to-date with the latest thinking in social work and nutrition will allow you to guide people with diabetes as they set goals for their treatment plans and select foods that fit their personal tastes and budget. Certification as a diabetes educator is a practice-based credential that indicates experience and mastery in the field. The certification is not intended as a step toward first entering the specialty, but diabetes educators who complete the process may be able to pursue advanced career opportunities. CDEs may become leaders and mentors within the field, and they make an average salary of $62,605. The discipline requirement can be met by holding an active license to practice medicine or another of the registrations and certifications for healthcare professionals accepted by the NCBDE. These include being a registered dietician or completing a master’s degree in social work. Along with the standard pathway, there are also unique qualifications that can meet this requirement with preapproval from the NCBDE. Individuals who hold degrees in nutrition, exercise physiology or public health may qualify in this way. The exam itself consists of 200 multiple choice questions answered over four hours. If you pass the test, you’ll be awarded your certification. A career as a Certified Diabetes Educator is full of opportunities to provide patients with valuable information that helps them manage their condition and achieve improved health outcomes. If you’re interested in following this career path, completing an online master’s degree from Adelphi University can help you move forward. An online Master of Social Work is designed with busy people in mind. It will help you expand your knowledge of theory and practice through coursework and professional development opportunities. Working with expert faculty, you’ll gain hands-on experience through field education and an intensive on-campus residency. This program will ready you to apply for licensure as master social workers in any state, and the degree can also fulfill the Discipline Requirement for a Certified Diabetes Educator. The M.S. in Nutrition curriculum will give you an advanced understanding of nutrition science, including nutrition’s role in disease management and prevention. You’ll learn to communicate nutrition concepts to patients and other non-experts, leading the way in promoting healthier practices. The online program is offers plenty of flexibility for busy professionals and will help you develop the skills that will enable you to succeed in a variety of roles, including, potentially, as a diabetes educator. Empowering people to manage their diabetes starts with teaching them to transform their lifestyle and stay on track with treatment. An advanced degree in social work or nutrition will help you make a lasting difference in the lives of patients. Social work is all about listening to the stories of both individual clients and those of society, and helping to form solutions for complex social problems. Yet the ways in which social workers can do that are countless. They can help people deal with any number of medical, psychological, development or life issues. They can also act as advocates, bridging the gap between clients and policy. As a profession that deals with psychological, economic, government, relationship, and countless other issues, social work offers many career paths for people who have a passion for helping others. In addition to finding opportunities in many different areas of health and wellness expertise (like child welfare, substance use, addiction, rehabilitation, and more), social workers can find deeply rewarding careers in various settings—from clinics to community agencies to schools. Just as there is considerable diversity in the field, there are many different education and credential options to consider when you’re planning your social work career. For example, master’s in social work careers are often more specialized when compared to generalists. There are also different licensing options to consider. One of the top benefits of earning a master’s degree in social work is the flexibility. Working in an agency, a clinic, a hospital school or a home are all options. One example is the Licensed Clinical Social Worker (LCSW) path, which typically focuses on mental and behavioral health. While the requirements for licensure vary by state, most require a Master of Social Work degree in addition to direct clinical experience. An MSW can also help you become more competitive later in your career if you decide to pursue administrative or senior management roles. Check your state’s specific requirements for licensure as you plan your social work career path. If you have questions or want additional help in your search, contact us and we’ll be glad to direct you to the resources you need. Note: All salaries are compiled from professionals with a Master of Social Work degree. The flexibility of social work as a career has also led to greater competition in the job market. Although the Bureau of Labor Statistics projects 16% job growth (much faster than the 7% average for all jobs) for social workers from 2016 to 2026, the majority of professionals in the field are planning to pursue graduate degrees. A 2017 survey of social work bachelor’s degree graduates found that more than 80% planned to pursue additional education, and nearly 90% of those planned to pursue a higher degree in social work. It is no secret that social work is a highly demanding career, both in regard to emotional labor and the sheer amount of knowledge effective professionals need. Furthering your education is just as much about career advancement as it is about giving you more tools to succeed in the field. An effective Masters in Social Work program will help you in developing the skills you need to stay ahead of trends in the field and hands-on practice with leading techniques. For example, one of the top indicators of job satisfaction among social workers is ongoing professional education. While there are multiple ways to develop professionals, master’s-level education is uniquely positioned to provide some of the skills most linked to satisfaction. In particular, researchers found that social workers benefit from learning practice-based research methods—one of the cornerstones of an effective Master of Social Work program is coursework that teaches not just the importance of social work research but that guides students in applying it to their practices. Once you identify which career path is right for you, it can still be difficult to determine how to move forward with your plan. If you want to work in an agency or clinical setting, for example, how do you determine whether a potential employer is a good fit for you? A master’s in social work program will cover the major theories of social work, with a focus on empowering you to develop your own model of practice. Moving forward, developing a personal philosophy can help you avoid mismatches with employers who don’t share your core values when it comes to interaction with clients or the issues you care about. Through interaction with your peers and with faculty, you’ll also gain direct exposure to many different perspectives within the field, which will better prepare you to deal with different types of challenges in your own practice.